A multi-use formula to restore hydration and provide excellent antioxidant protection. Hydra-Cool Serum contains the powerful, healing antioxidant centella asiatica with vitamin B5, hyaluronic acid, kojic acid and soothing menthol. It works to hydrate and nourish the skin, while providing intense protection through antioxidants. Ideal for dry, damaged skin and just-sunburned skin. Clinical Moisturizing Complex: A healing, hydrating and protecting moisturizer for all skin types. This ultra-hydrating moisturizer contains nourishing and anti-aging ingredients such as jojoba oil, glycerin, hyaluronic acid, wheat germ oil, elastin, vitamins A, E and B5, and the healing antioxidant, centella asiatica. It works to revive and protect dry, damaged skin, resulting in a younger-looking, hydrated and radiant complexion. Ideal for all skin types. iS Clinical Youth Eye Complex: An anti-aging eye treatment for reducing fine lines, puffiness and dark circles. iS Clinical Pro-Heal Serum Advance+: A powerful, healing serum with natural extracts and vitamins. This antioxidant-rich serum combines time released vitamin C with a blend of botanicals to treat acne, rosacea, contact dermatitis and even insect bites. Olive leaf extract works with the vitamin C (L-ascorbic acid) to provide maximum antioxidant protection and health-promoting benefits. Zinc sulfate reduces inflammation, kojic acid prevents blemishes and vitamins E and A condition, nourish and neutralize free radicals. Pro-Heal Serum Advance+ offers iS Clinical’s highest levels of antioxidant protection, making it ideal for sensitive, compromised and sickly skin types. iS Clinical Youth Complex: A highly effective anti-wrinkle treatment with instant and long-term results. This incredible treatment is clinically proven to boost the production of collagen and elastin. It firms and tightens the skin while smoothing away the appearance of fine lines and wrinkles, leading to a truly younger-looking complexion. It also smoothes, softens and protects the skin with a layer of antioxidants. When used as directed, this sensational formulation will provide immediate, intermediate and long-term results. iS Clinical Powder Sunscreen SPF 20 – Translucent : An easy-to-use powder sunscreen with broad-spectrum UVA/UVB Protection. iS Clinical Powder sunscreen SPF 20 is a safe fine powder sunscreen that shields your skin from broad-spectrum UVA/UVB rays without irritating your skin. Micronized zinc oxide and sheer titanium dioxide provide your skin with the best possible protection. The self-dispensing brush applicator makes it perfect for midday touch-ups and fast application. iS Clinical PerfecTint Treatment Sunscreen SPF 25: An innovative broad-spectrum UVA/UVB sunscreen that protects skin while healing sunburns. 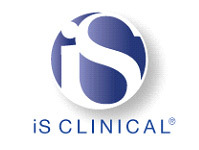 Protect and repair your skin with iS Clinical PerfecTint Treatment Sunscreen SPF 25. Microencapsulated organic sunscreens, zinc oxide, vitamins and powerful antioxidants effectively reduce redness and inflammation associated with sunburns and erythema. This unique formula aims to reveal younger skin, while also providing optimal protection. PerfecTint provides a safe and natural suntan for any skin type. iS Clinical C Eye Advance+: A gentle anti-aging serum created specifically for the delicate under eye area. C Eye Advance+ contains 7.5% time released vitamin C to brighten and revive the eye area. Vitamin C (L-ascorbic acid) works to renew the eyes by lightening dark under eye circles, encouraging collagen and elastin production, reducing puffiness, diminishing fine lines and wrinkles, and protecting with potent antioxidants. iS Clinical’s copper tripeptide growth factor maximizes vitamin C performance, leading to extraordinary results. C Eye Advance+ is specifically designed for use around the delicate under eye area, ensuring irritation-free use. The eye area is left smoother, healthier, brighter and more youthful. iS Clinical Signature Kit – Anti-Aging: Four products to smooth and restore aging skin. The Signature Anti-Aging Kit is made up of four extremely effective, high-quality formulas to smooth and revive aging skin. Packaged in a stylish metal case for travel and safekeeping, the Signature Anti-Aging Kit is ideal for using to treat your own aging skin, or giving to a friend or family member as a thoughtful gift. Cleansing Complex (6 fl. oz.) – This liquid-gel formula contains glycolic acid, salicylic acid and vitamins E and A to smooth and cleanse while preparing the skin for treatment and nourishment. Active Serum (1 fl. oz.) – Contains nourishing extracts and soothing menthol to calm and prevent acne, reduce fine lines and wrinkles, even pigmentation and smooth rough texture for a smoother, brighter complexion. Youth Complex (1.25 fl. oz.) – Developed to plump, resurface and firm the skin with the exclusive Innovase biotechnology, and with natural hydrators, botanical extracts and antioxidants. SPF 25 Treatment Sunscreen (3 fl. oz.) – Protects the skin against UVA and UVB damage while reducing redness and inflammation. Travel case – This chic travel case features a modern, metal exterior with handle and a black, velvet-like interior with mesh pockets for your iS Clinical products. It locks with a latch and key for safekeeping, and its hard frame protects products from damage. Standing up, it measures 8” wide, 4” deep and 8” high. iS Clinical Signature Kit – Acne: Four products to heal and prevent acne breakouts. The Signature Acne Kit is made up of four extremely effective, high-quality formulas to treat and prevent acne. Packaged in a stylish metal case for travel and safekeeping, the Signature Acne Kit is ideal for using to treat your own acneic skin, or giving to a friend or family member as a thoughtful gift. Hydra-Cool Serum (1 fl. oz.) – Works to hydrate and nourish the skin, while providing intense protection through antioxidants. iS Clinical Cleansing Complex: A gentle, gel face cleanser for all skin types. This gentle yet effective face cleanser works to remove dirt, impurities and excess oil, while still maintaining the skin’s essential natural oils. Ideal for men or women of all skin types, this gel formula contains glycolic acid, salicylic acid and vitamins E and A to maintain and healthy, clear complexion. iS Clinical Body Complex: An extremely gentle, hydrating formula to soothe and smooth skin. This calming and hydrating complex is formulated with vitamins, botanical extracts and antioxidants to heal and protect your skin. Body Complex promotes the skin’s natural exfoliation and cellular regeneration processes, leaving the skin soft, smooth and toned. Ideal for even the most sensitive of skin types. iS Clinical Eye Complex: A gentle, anti-aging eye complex to reduce dark circles, fine lines and wrinkles. This gentle yet effective eye complex is formulated with soothing botanical extracts, antioxidants, vitamins and bionutrients to hydrate, tone, smooth and brighten the eye area. Because the tissue around the eye area is so delicate, this formula is created with utmost care to provide gentle, soothing results. With regular use, it will reduce dark circles, fine lines and wrinkles.